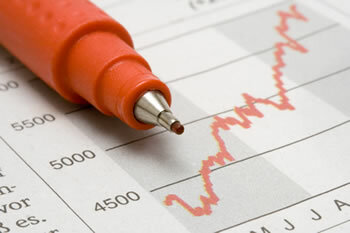 Many investors still rely on a stockbroker to help them invest their money in individual stocks and mutual funds. It is very important to understand how these brokers earn their income. Unlike most Certified Financial Planners (CFP) who earns a flat fee or commission based on their recommendations to their customers, stockbrokers earn a commission based on trading stocks for their clients in their accounts. Many of the clients using this legacy stock purchasing system tend to e wealthy and leave a portion of their nest eggs entrusted with the stockbroker to trade on their behalf as the broker sees fit and as often as needed. To break it down by the numbers, many stockbrokers service one hundred or so clients with recommendations and trades. Many brokerage houses pay stock brokers around 40% of the trade commissions earned. So, doing the math and working backwards, a stockbroker who earns $100,000 per year in income from those clients needs to generate $2,500 per client in commissions alone to earn that 60% for the “house” and 40% for the broker to reach that annual figure of $100,000 income per year from 100 clients. If a firm charges $20 as a commission per trade (a low estimate for a full time brokerage house), a stockbroker needs to trade 125 times in your account per year to make his income target. That is a huge amount of turnover and jumping in and out of stocks for one person. That is definitely not a buy and hold strategy. I am not necessarily saying that this technique of hiring a stockbroker is right or wrong for wealthy clients. But, investors need to be aware of what they are paying people that work for them. That $2,500 is coming directly out of the investor’s pocket. That’s not chump change by any stretch of the imagination. $2,500 compounded annually at 8% will net you over $500,000 over a 40 year span. That’s just a little something extra to think about when you are handing over your money to other people. With the wonderful selection of no load mutual funds and ETF’s out their today I could never pay a broker.